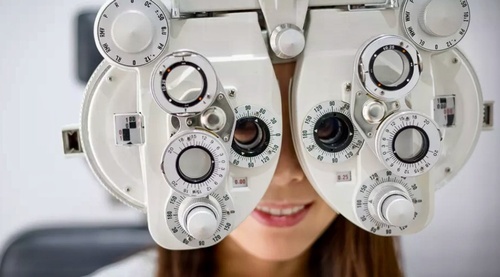 With nearly one-quarter of all school-aged children being affected by eye problems, the need for affordable optometry services is more vital than ever before. At National Education 20/20 Foundation, Inc., we are dedicated to providing children adequate eye care to ensure they have the abilities and chances to make their dreams come true. Based in Peachtree Corners, GA, our team travels the Atlanta metro area serving underprivileged children who are living with visual impairments. The sad reality is many families of in-need children do not have the means to pay for appointments and medications, as well as the transportation necessary to make it to the doctor’s office. In an effort to combat this reality, we are equipped with a state-of-the-art mobile optometrist office that visits schools throughout the state of Georgia. Our caring staff of professionals offers affordable eye care and exams at little to no cost. No matter your background, our team serves all children, including those on PeachCare, with professional services and compassion. Unfortunately, many individuals do not know the importance of proper eye care and routine check-ups. Another focus of our foundation is to educate parents, teachers, and patients about the difference treatment can make on a child’s health and their future. If you know of a child in need of eye care or you would like to donate, please call us today!